Ripon Grammar School is offering students a second chance at selection testing, with an additional 13 places now available for 13-year-olds. AS the top-performing state school in the North, RGS wants to ensure that able youngsters with potential don’t miss out on the chance of an outstanding selective education. Students currently in second form who missed out on a place at 11 years old can now take a test on February 2 for third form entry, which includes places for boarding students, in September 2019. Molly Acton from Skelton-on-Ure took the test last year after her family relocated to North Yorkshire from Bristol. Thaddeus Davey from Harrogate took the test in 2014 after missing the application date for 11+ testing: “I only found out about it too late in the year, but really wanted to go to a selective grammar school,” he said. Sola Sowole, 18, from Thirsk, who is taking maths, economics and RE at A-level and hopes to study politics, philosophy and economics at university, took the 13+ test in 2014 after moving from Kent to North Yorkshire with her family: “I found it really easy to settle in and make friends, everyone was very welcoming,” she said. Headmaster Jonathan Webb said he hoped those pupils who were unable to take the test, for whatever reason, at aged ten or 11, or whose previous result did not reflect their ability or potential, would consider sitting the February test. 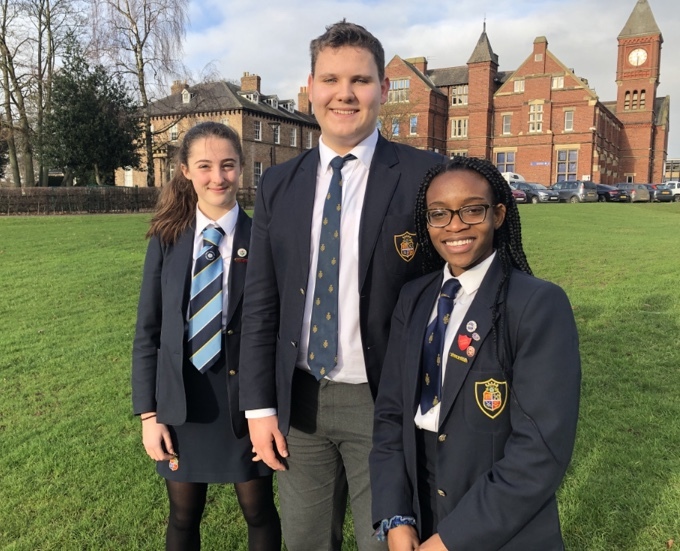 Ripon Grammar School, named top state school in the North by The Sunday Times for the sixth year running this year, is one of the few state boarding schools in the country, which means education comes free and boarding costs only a third of most independent school fees. Both its boarding and education are rated outstanding by Ofsted.